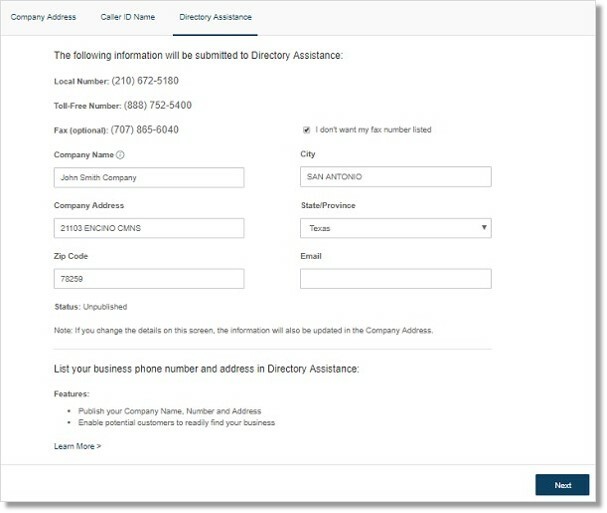 Directory Listing enables business details to be published in the National Local Directory Assistance. Once your company details are published, potential customers can readily and easily locate your business. This is a free feature, available for all Office@Hand customers. To get your listing posted, your account administrator will need to access the homepage of your account. Under Settings, in the Company Shortcuts section, there’s a shortcut for 411. In the 411 section, you can select the primary phone number, address, fax and also a toll-free number you want to promote. To proceed with publishing, click the Publish button. Once your listing is posted, you can make changes and even delete your entire listing. Your account administrator simply goes to your Listing Details and selects Edit or Remove to make changes to your profile. You get one listing per company and get to publish your main company number, fax and also a toll-free number.